You're driving down the road, the cool summer breeze helping attenuate the heat of the sun, great music playing from the speakers, and nothing but empty highways ahead. Suddenly, you look at your phone and realize that the battery is almost dead but you need it to be alive to use Google Maps when you reach the next town. Your partner's phone is plugged into the car charger and they specifically told you to let it fill up before they dozed off half an hour ago. What do you do? You wish you grabbed this Aukey Qualcomm Quick Charge 2.0 certified charger deal, that's what. This dual ports USB car charger has one QC 2.0 port that can charge up to 9V at 2A or 12V at 1.5A. It should fill up your QC capable phone, like the Nexus 6, LG G4, Galaxy S6 or S6 Edge, Xperia Z4, One M9, etc... as quickly as if it were plugged into a Quick Charge wall outlet, read: blazingly fast. It also has another 2.4A USB port that charges phones and tablets at a regular 5V rate, and it ships with a 3.3ft MicroUSB cable. 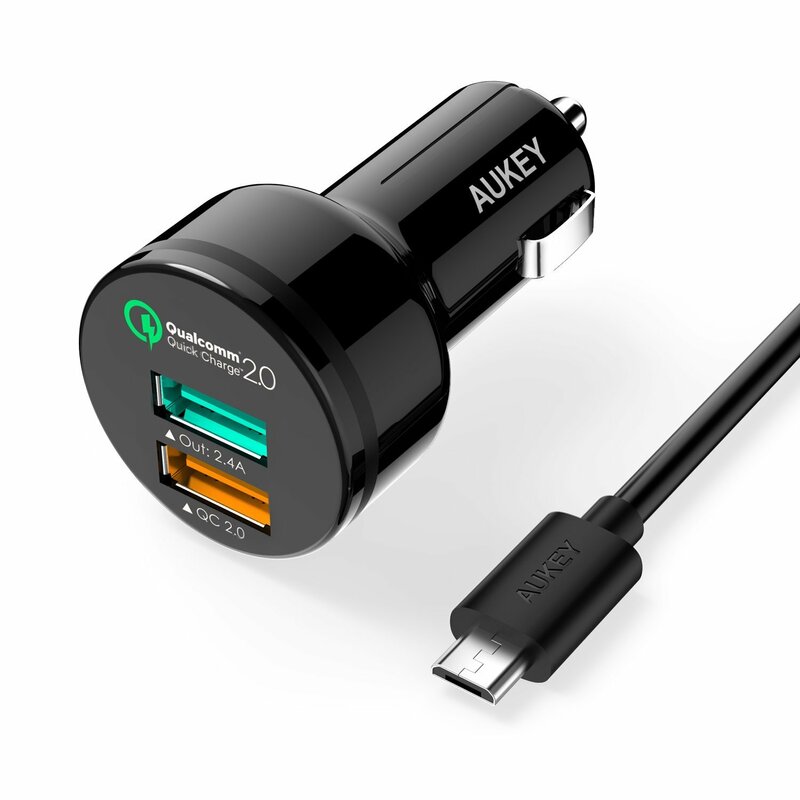 The 4+ star-reviewed Aukey QC 2.0 car charger is selling for $16.99 on Amazon, but you can take that down to $9.49 thanks to the coupon code ZSBP8QMP — a $7.50 discount (or 44% for y'all percentage buffs). That's a solid deal, especially with free shipping on orders above $35 or for Prime customers.